It is one of the most iconic images in movie history: King Kong, standing astride the Empire State Building, clinging to Ann Darrow as aeroplanes circle overhead. Oddly, for a story that’s so strongly identified with New York City, King Kong has consistently attracted creative attention from the other side of the world. New Zealand director Peter Jackson remade the 1933 Hollywood classic in 2005, and now the Australian live entertainment company Global Creatures is bringing its stage musical version to Broadway. 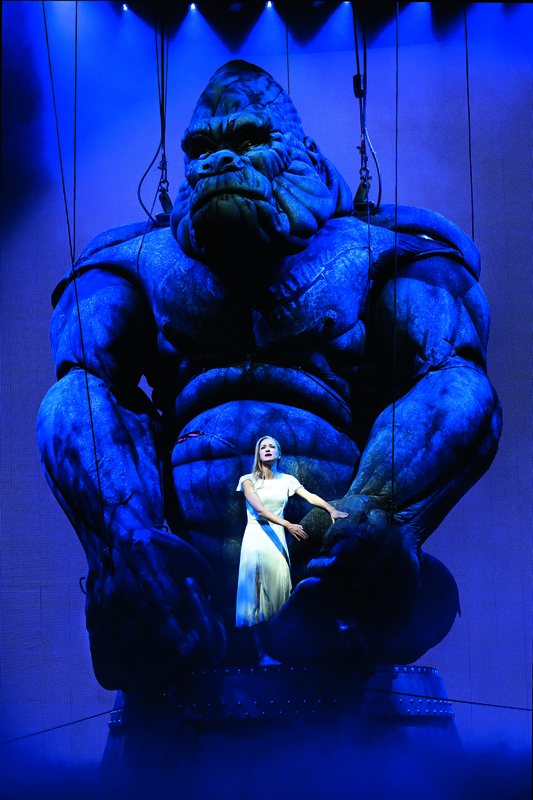 Debuting in Melbourne in 2013, the show attracted acclaim for the technical wizardry involved in its standout feature: a giant, stylised puppet of King Kong, operated by a team of 18 puppeteers at any one time. The logistics involved are remarkable: 14 people onstage clip marionette strings on and off his limbs to move him around, while a team at the back of the theatre controls his facial expressions, with someone else creating his voice live in performance. But Pavlovic felt that during its Melbourne run, the rest of the show didn’t quite gel with its central achievement. The critics agreed, and the light bulb moment for the creative team came when they realised that although King Kong was nominally the lead character of their musical, he didn’t sing, dance or speak. The result will finally debut in November at the Broadway Theatre, which is actually on Broadway, in Manhattan, after five years of retooling. Does she feel any pressure about how the global epicentre of musical theatre will respond to the show? It might seem like a long road from an MBA at the Melbourne Business School to the heady world of musical theatre, but Pavlovic is quick to point out that the entertainment business is far from the anarchic free-for-all some might think. That part – the creative process – makes for a job that blends the best of both worlds. About that female protagonist – King Kong’s Ann Darrow often has been criticised as being the prototypical Damsel in Distress. Pavlovic says that she was keen to change that for Broadway. King Kong’s writer, Jack Thorne, who recently worked with J K Rowling to adapt Harry Potter for the stage with The Cursed Child, created a solution that Pavlovic says is “very bold”. She is firmly of the view that there’s no point in re-staging a show if it has nothing new to say. After her MBA, Pavlovic worked for Andrew Lloyd Webber (“if you told me I’d be helping put on his musicals I never would have believed it”) and then as head of international production at global theatre producers Stage Entertainment. She landed her current role with Global Creatures after meeting the caravan tycoon Gerry Ryan, who now serves as the company’s chairman. He asked her to manage the international rollout of the Walking With Dinosaurs stage show, which he owned, but she had other ideas. Over the past 10 years the company has developed musicals including Muriel’s Wedding and Strictly Ballroom, and an arena show based on the kid’s movie How to Train Your Dragon. With Strictly Ballroom opening in the West End, the Moulin Rouge! musical launching a pre-Broadway engagement in Boston and an international tour of the Walking With Dinosaurs show underway, Global Creatures has become one of the largest producers of new work in the world. 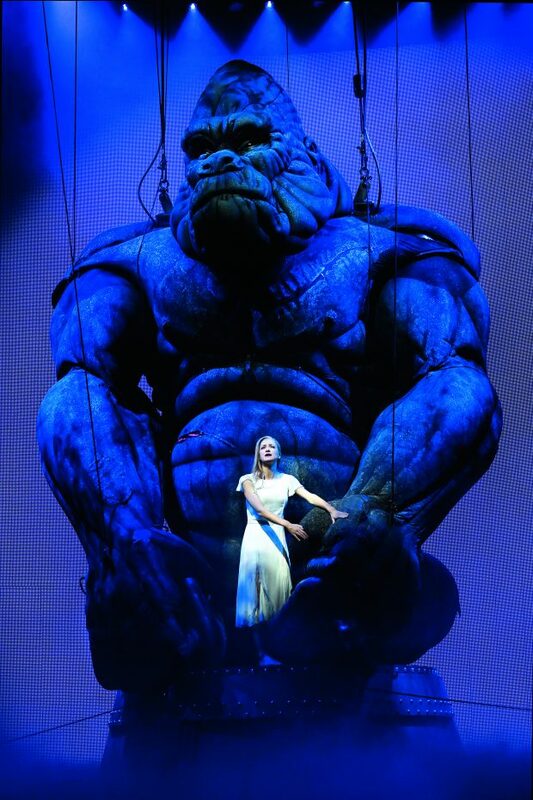 The launch of King Kong on Broadway is the culmination of years of work – she started devising the show when she joined Global Creatures a decade ago. “It’s a big moment for our company,” she notes with understatement. But there’s no denying Pavlovic’s enthusiasm for a centuries-old art form that’s still kicking on.